Lazio host rock-bottom Verona this Thursday evening in an attempt to end their winless run. Stefano Pioli’s charges failed to score a single goal in three consecutive matches and are in desperate need of a triumph in order to stop their downfall in the overall standings. Even though the Gialloblu are the main candidates for the Serie B, they are on a five-game undefeated streak (W1 D4). Luigi Delneri’s men were a better side for the most part of their clash against Internazionale last Sunday, but Icardi and Perisic managed to clinch a dramatic point at Bentegodi. Now they are coming to Rome looking for their first away victory this term. I Biancocelesti boast a 6-1-0 record against Verona on home turf, but managed to secure all three points in just one of their last seven fixtures at Stadio Olimpico. Given the fact that both teams struggle in front of opposition goals of late, we predict a close, low-scoring encounter, while giving a slight advantage to the home team. Lucas Rodrigo Biglia is an Argentinian football player born on the 30th of January 1986 in Mercedes. Biglia started his career playing for Argentinos Juniors where he made his debut in the season of 2003/2004. After playing for Independiente and RSC Anderlecht Biglia made the transfer to Lazio Roma, which cost the Italian club around 5 million euro. Biglia became the captain of Lazio Roma in July 2015. Biglia made his debut for the Argentinian national team in February 2011.Biglia played for Argentina in the World Cup 2014 and the Copa America 2015. Biglia is a right-footed defensive midfielder, which is known for his leading role. For the defensive midfielder position he is small being only 178cm, which is one of his weaknesses. Biglia won the Belgian national league 4 times, the Belgian national cup once and became world champion with the Argentinian U20 squad. Nicknames for Biglia are El Principito and Lucky. Lazio Roma are an Italian football club based in Rome. 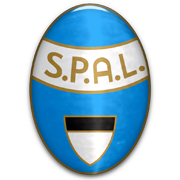 Lazio were founded in 1900 and they compete in the Serie A. The Biancocelesti (The White and Sky Blues) have won two Serie A trophies (1973/1974, 1999/2000), while lifting six Coppa Italia titles. The capital club play their home games at Stadio Olimpico and Roma are regarded as Lazio’s main rivals. The two teams face each other in the Derby della Capitale and it is considered the fiercest inter-city derby in Italy. Lazio won UEFA Cup Winners’ Cup in 1999, with the team beating Mallorca in the title game. The same year they managed to clinch the UEFA Super Cup trophy as they outplayed English giants Manchester United at Stade Louis II, Monaco. The likes of Pavel Nedved, Giuseppe Favalli, Juan Sebastian Veron, Sinisa Mihajlovic, Roberto Mancini, Giuseppe Signori, Miroslav Klose and Simone Inzaghi are notable footballers who played for Lazio in the past.